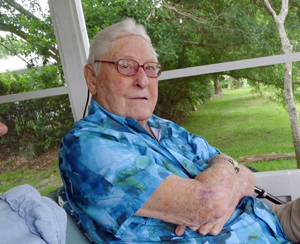 Ted served in the US Army during WWII as a medic and drill sergeant in San Antonio, Texas. He was a graduate of Clarkson University where he earned a BS Civil Engineering. He also attended Harvard Business School. Ted spent most of his career as an oil company engineer, manager and senior executive in Barnwell, So. Carolina (Dupont); Lawrenceville, Illinois (Texaco); Ras Tanura, Saudi Arabia (ARAMCO); Jabacoa, Puerto Rico; Philadelphia, Pennsylvania and London, England (Sun Oil). He and his family travelled widely throughout the world. He was a kind and generous man, and a gentleman and will be sorely missed by all who encountered him around the world.